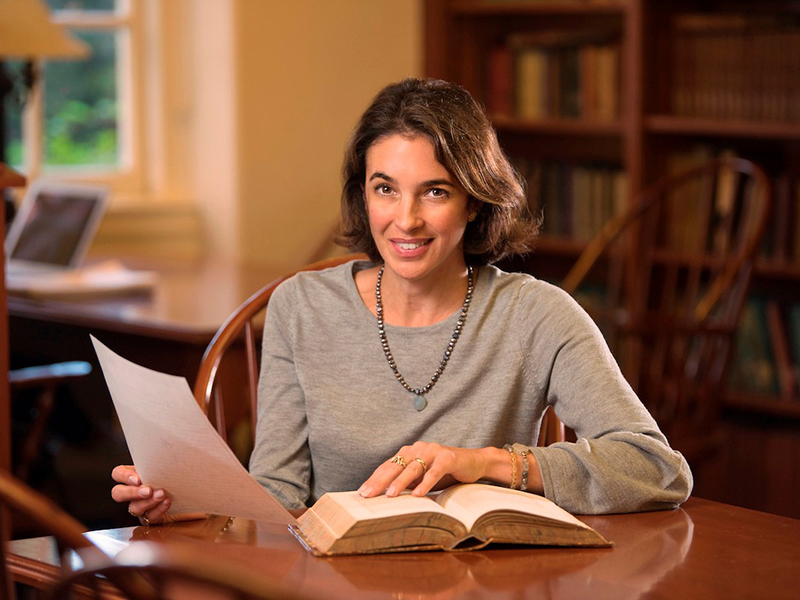 LEWISBURG, Pa. — When Professor Lisa Perrone, Italian studies, traveled to Florence, Italy, to research an 18th-century Italian professor and associate of Thomas Jefferson, she made a surprising discovery: a letter to the former president. Perrone was seeking information about Carlo Bellini, who Jefferson hired in 1779 to teach modern languages at her alma mater, the College of William & Mary. Finding nothing, she tried another tack and began researching Filippo Mazzei, a political philosopher, physician and Italian patriot of the American Revolution whose name frequently appeared in correspondence between Jefferson and Bellini. That’s when Perrone found a “promising letter” from Mazzei that had no documented recipient. But as she transcribed the letter, one name stood out: Monticello. Through further analysis, she found irrefutable connections between the mysterious letter dated Sept. 27, 1812, and one sent by Jefferson to Mazzei on July 9, 1811. Perrone’s essay about the translated letter, “The Advice Jefferson Never Received: Health Counsel Delivered to Jefferson from his Italian Friend Filippo Mazzei, Two Hundred Years Too Late,” was published in the spring edition of Common-place, the academic journal of early American life. During her research, Perrone found a book in Bucknell’s Bertrand Library by Sister Margherita Marchione, a Mazzei scholar, about other letters Mazzei wrote to Jefferson. The letter Perrone discovered was not included in the book, so she drove to Morristown, N.J., last fall to meet with Marchione, now 95, and deliver news of her discovery. She also recently returned to the National Central Library of Florence, the scene of her find. Perrone is continuing to study Mazzei’s friendship with Jefferson this month through a fellowship at Monticello awarded by the Thomas Jefferson Foundation.